Here are some reasons why you should hire a lawyer after an accident! 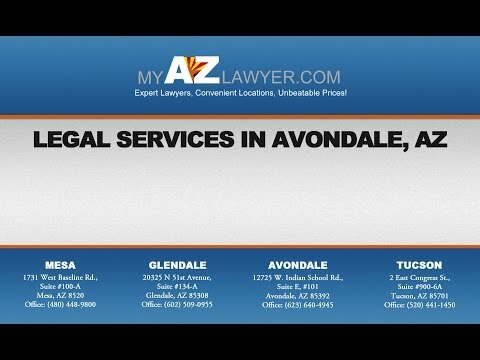 After an Avondale vehicle accident, an attorney can assist you in numerous ways. If you are confused by what is covered by your insurance policy or if your insurance company isn’t being helpful, attorneys are experienced at filing the correct forms and negotiating with insurance companies. If there is a question as to who is at fault, an attorney can also help you collect the documentation and evidence to establish this. The sooner you consult a lawyer, the better the chances are of locating witnesses and of the witnesses clearly remembering what they saw. Driver negligence is the most common cause of Avondale vehicle accidents. Arizona law states that the driver is responsible for safely operating his/her vehicle. If you have suffered injury or loss due to the negligence of another driver, even if you believe you are partially at fault, it would be wise to consult an Avondale lawyer. It’s always prudent to be checked over by a physician as soon as possible after any vehicle accident. Some injuries may not be immediately apparent. If you or anyone in your vehicle was injured in the accident, you may need compensation for medical costs. In addition, if you are unable to work or function normally for any length of time you may be entitled to compensation for this too. After all, how will you pay your bills and buy groceries? Who will take care of you if you are too badly injured to care for yourself? These are the types of expenses a lawyer can help you receive compensation for. If you or anyone in your vehicle are seriously injured necessitating long-term medical care, is left with a permanent or disabling injury, or the accident results in a fatality, you should definitely consult an attorney immediately. Consulting an attorney before you speak with an insurance adjuster will help will protect your rights. Don’t assume that an insurance company, even if it’s your insurance company, has your best interests at heart. Insurance agents and adjusters are hired to protect company’s best interests, not yours. If you have been involved in a vehicle accident the skilled attorneys at My AZ Lawyers are here to help you receive a fair and just settlement. We can help with insurance forms, getting your vehicle repaired or replaced, negotiating with insurance companies, and working with doctors and hospitals in order to help you receive the medical care you need while awaiting a settlement. If you are uncertain as to whether you need an attorney, schedule a free consultation at My AZ Lawyers. Never agree to a settlement without first consulting an attorney. Contact us for more information or to schedule an appointment.